I stayed here on the 3rd night of my Shikoku pilgrimage road trip. 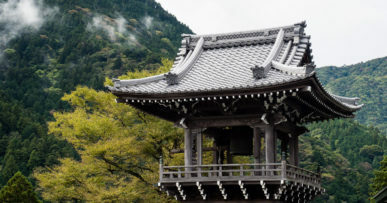 Sowaka is the only accommodation in the vicinity of temple 21, it’s adjacent to Tairyuji ropeway station at the foot of the mountain, so it’s used mainly by O-henro pilgrims many of whom are walking the trail, not driving. It’s not surprising then that the hotel strives to be budget-friendly while providing all the necessities the pilgrim needs: a place to sleep, food and bath. 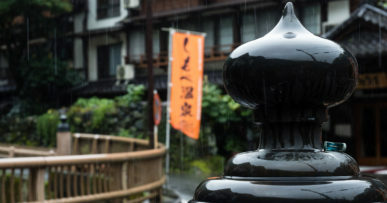 And you get all that, but everything is very low key, starting with the service, which, by Japanese standards can be considered rude, and by western – relaxed and informal. I guess it goes along well with overall sense of foreign-friendliness (to my big surprise, there were a lot of westerners walking the trail; O-henro must be trending outside Japan now). 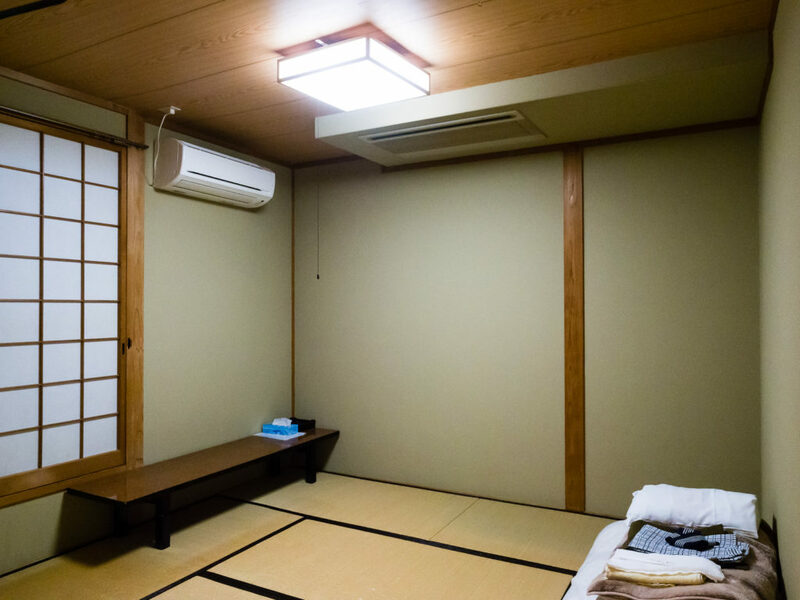 This is a modestly sized establishment with tatami rooms, 10 and 6 mats. Some of the rooms have private bathrooms, but by the time of my booking all of those were gone, so I had to make do with a no-bathroom 6 tatami room and use common facilities on the floor (choices are limited when you walk or drive the Henro on schedule; you need to be at a certain place on a certain day, so location takes priority over everything else). There are also dormitory rooms – they are, naturally, the cheapest. 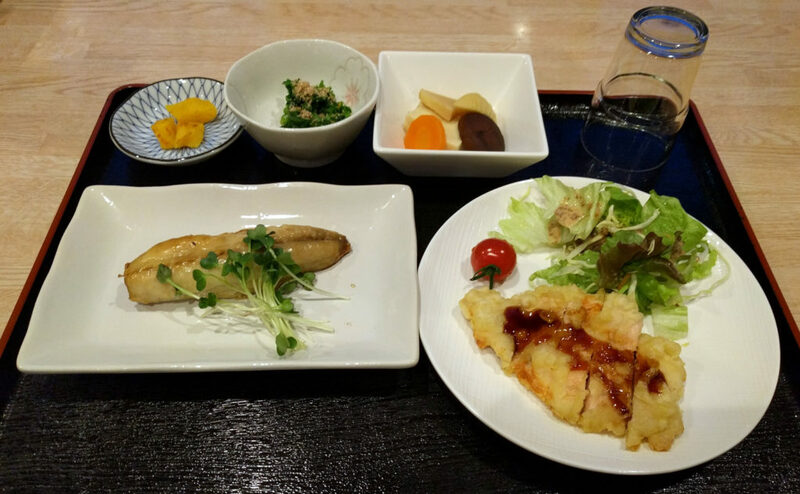 Dinner and breakfast are very basic in terms of quantity and variety (feels more like restaurant’s set meal rather than real ryokan meal), but the quality is not bad. I didn’t check out their common bath, because I used a public facility with natural mineral water a few kilometers away (Sowaka’s bath is just water). I used free Wi-Fi – the rooms are equipped with it. Overall I’m satisfied, but not overly so, with my experience here. Location was ideal for my purpose, parking plentiful and effortless, everything else okay, except for hospitality. Hospitality could have been better. I do like certain things Japanese way. The hotel is located right next to Tairyuji ropeway station. Once you’re there, it’s impossible to miss.